It may seem vain to want to pay extra for personalised number plates, but if it’s something you want, you should definitely go for it. It’s a purchase that may become more valuable in time (if you own a combination many others desire), but it’s also a personal purchase that will make you feel good. And no, you’re not a bad person because you want to show off with your new cool car or you simply want to stand out from the crowd. On the contrary, it shows you are a creative, unique person who likes to embrace new trends and loves his or her car. After all, we love our cars and most of us have a personal relationship with them. We even go as far as giving them a name so it’s only normal to want the rest of the world to know it using personalised reg plates. It would be a shame not to, given the fact that this possibility exists! Now, if you decided you want a personalised number, you may be a bit confuse on how to actually do it. But don’t worry; the guide below is designed to walk first-time buyers through the brushwood of procedures and laws. The transaction per se is quite simple: you offer the money and the owner transfers you the right to use the numbers. However, the procedure is a bit more complicated and can be done in three main ways. The DVLA is the main authority that issues and regulates number plates (regular or personalised) and if you choose to buy from them, you cut out the middleman. They even have a great search tool that allows you to find combinations close to what you want. They also hold auctions every few months where you can bid for the numbers you want. Auctions can be physical (where you have to be there in person or through a representative) or timed (online).With timed auctions, you submit the maximum amount you’re willing to pay and the system does the biding. 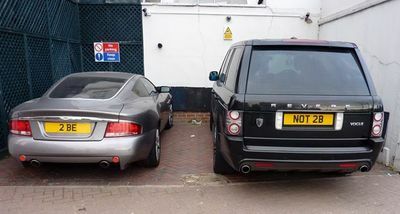 If the DVLA doesn’t have the plates you want, a broker is your go-to guy. These are usually companies, registered with the DVLA, and they play the middleman between request and demand. These companies buy the plates from people who want to sell, and then re-sell them to people like you. Just like the DVLA, most brokers will allow you to search their database in order to find the combinations you want. Still, you should know that it will cost you a bit more than with the DVLA as the broker will sell the plates with their lot of profit too. But it’s worth the try as they own some of the most interesting combinations. The third channel is represented by individual owners. This channel may provide the best plates, but it also requires the most work from you and it may be the most expensive. Still, if you can’t find what you want with the DVLA or the broker, it helps to keep an eye on the classified adverts. But, you should be prepared for high prices – owners usually know when they have a rare piece on their hands. Once you’ve identified the combination you want, it’s time for the next step, which is the transaction per se. This means you will pay for the numbers and the right to use them will be transferred to you. If you went through the DVLA or a broker, you’ll receive all the information and guidance needed for the necessary documentation. However, if you go with the third channel, you will have to learn about the types of documents needed to make the transfer. Luckily the process doesn’t involve too many documents and can be done online or via mail. 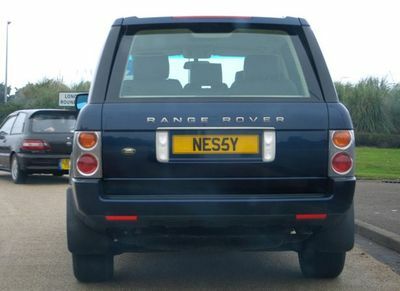 Even better, you don’t even have to own a car in order to own the number plates! So, if you plan on buying a new car but you found the plates first, you can buy them without any problems.